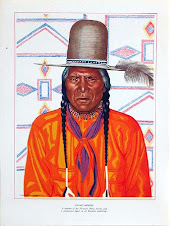 Western Americana: History of the American West: Glacier National Park, The Great Northern Railway and the Blackfeet Portraits of Winold Reiss. 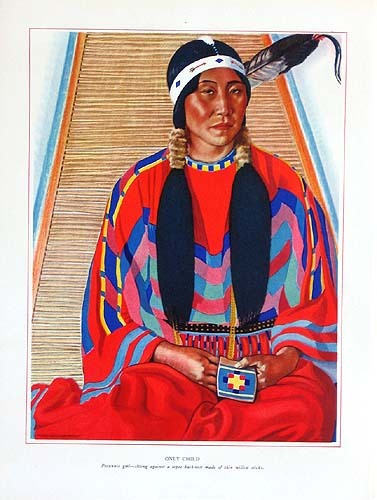 Glacier National Park, The Great Northern Railway and the Blackfeet Portraits of Winold Reiss. 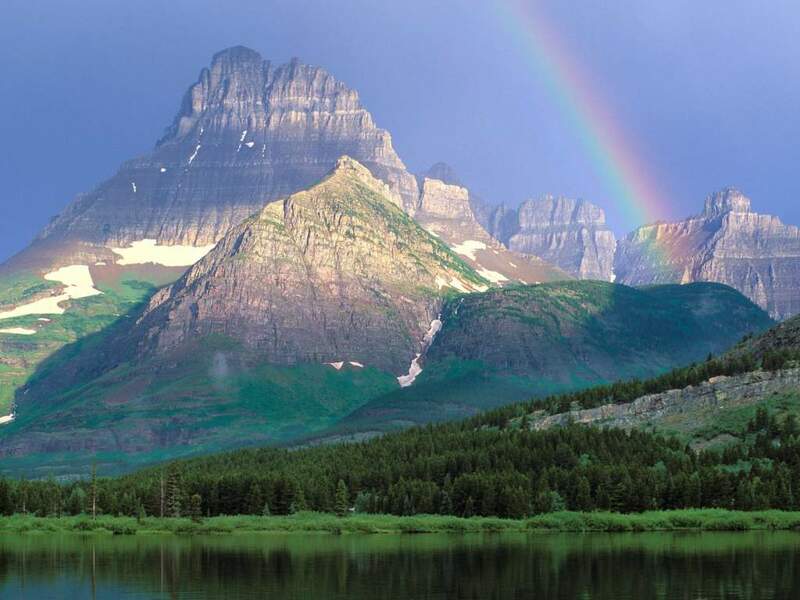 In this year of 2010, Glacier National Park is celebrating 100 years as a national treasure. The Park, which straddles the Montana Canadian border in Northwest Montana, is one of the most remote of all parks in the National Park system. 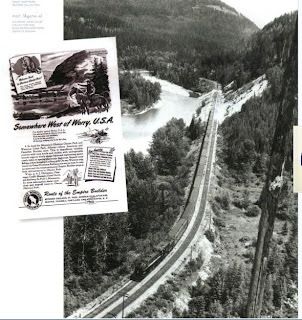 If it was not for the effort of railroad giant, James Hill, who pushed legislation through the U.S. Congress establishing Glacier 1910, this scenic wonderland of the Northwest may not have been preserved for future generations. 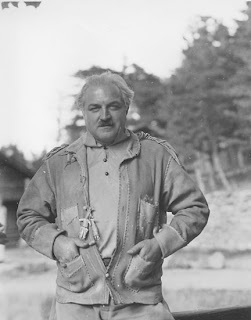 James Hill envisioned a “Playground of the Northwest” that would attract people and their money from all over the world, moneyed people who traditionally traveled and enjoyed the sights and attractions of Europe. 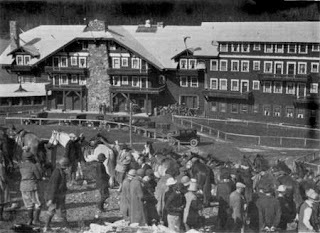 To interest visitors to Glacier, Hill, with the help of his son, Louis, embarked on an ambitious building spree, where they built a chain of hotels, chalets, boats, roads, and trails in the mountains of Glacier and created the banner, “See America First,” in order to entice visitors to the Rocky Mountain Northwest. The motive behind all this activity was to promote travel on Hill’s Great Northern Railway. James Hill was one of several “captains” of the railroad industry in the United States, who made a fortune from investment in the transportation of goods and people on railways that linked America from coast to coast after the Civil War. In 1893, Hill’s Great Northern Railway connected the Upper Mississippi River Valley to Puget Sound. All along the route from Minneapolis to the Pacific, Hill promoted the Northwest as a wonderland of natural beauty; a land that still possessed many of the desirable attributes inherent in the American frontier. 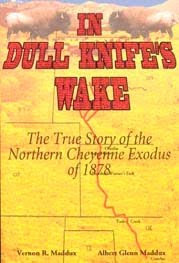 Hill also cashed in on the growing popularity of what historians in the twentieth century describe as the mythic West; a perception of the West in the American mind, where the exploits of cowboys, frontier army and Indians denoted adventure and unbridled heroism. 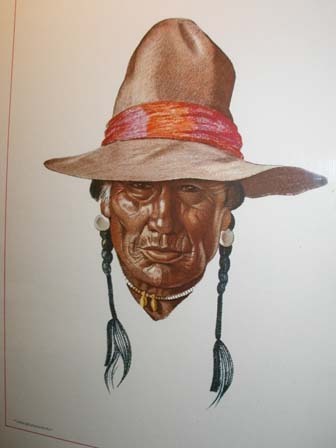 The Native Americans, in particular, were of interest because of their role in promoting the “Wild West” with their performances in Buffalo Bill Cody’s wild west shows, which toured the United States and Europe between 1883 and 1917. 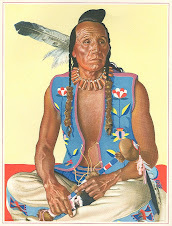 At every stop along the tour, Native Americans in the show helped to recreate the Indian wars of the plains, audiences loved the excitement of western America. In the early twentieth century, The Great Northern helped to keep this romantic image of Native Americans alive by promoting the Blackfeet Nation, whose reservation extended along the eastern boundaries of the park; a trip to Glacier brought visitors in close proximity to the Blackfeet and their culture. 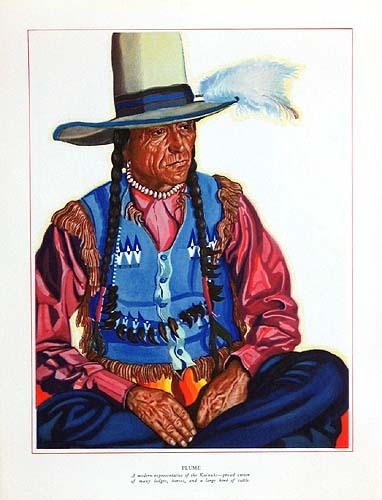 Traditionally the Blackfeet nation consists of three different tribes with the same language and customs; the Pecunnies (Piegans), the Bloods, and the Blackfeet. Before moving onto the Plains, and adapting a nomadic culture centered on the buffalo, the Blackfeet lived around the "forest near Lesser Slave Lake. Incessant war forced upon them by the powerful Chippewas pushed them steadily southward until they reached the wide plains bordering the Rocky mountains in what is now Montana. "[Frank Bird Linderman] The Blackfeet eventually occupied a region that ran north to south from Saskatchewan to the Yellowstone. 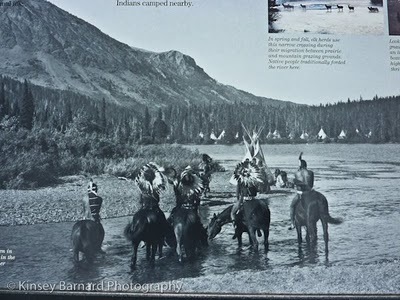 Early Plains settlers and frontier military viewed the Blackfeet as a warrior society, who resisted white settlement in their region. At the end of the Plains Indian wars in the 1870s, the federal government moved the Blackfeet to land reserved for them east of what became Glacier National Park. 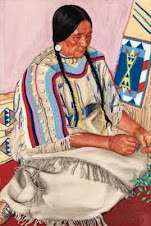 Once on reservations, the Blackfeet, along with other Native America Tribes, occupied the interest of anthropologist, writers and artists; many flocked to the American West in order to record what they believed were the last vestiges of Native America life. 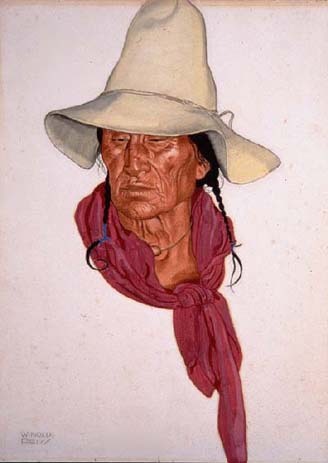 James Hill understood the draw that the Blackfeet would have as a “tourists attraction,” the search was on for an artists, who had a close association with the Blackfeet, and who could capture in Blackfeet portraits the colorful character of the people. The Great Northern Railway found such an artist in Winold Reiss. 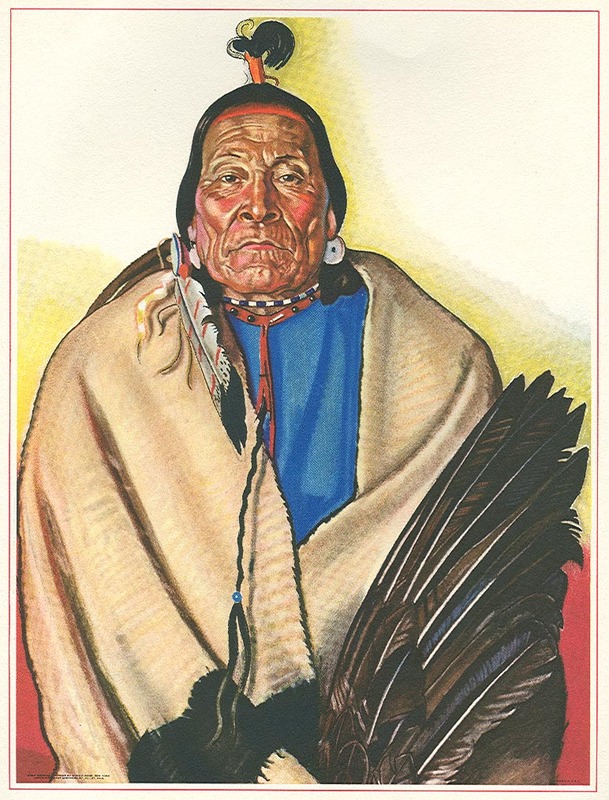 The Blackfeet gave Winold Reiss the name Beaver Child when they inducted him into the tribe in the winter of 1919.
and were included in a portfolio sold by the Great Northern Railway to promote Glacier National Park and rail travel to Blackfeet country in the 1940s. Plume, a modern representation of the Kainahs--proud owner of many lodges, horses and a large heard of cattle. Short Man, A fine old warrior of the Pecunnies who lived until his eight-sixth year. He was an expert sign talker. Very nicely done. I knew nothing of the commercial motivation behind the creation of Glacier NP. Interesting, too, how the Blackfeet figured into that development. Not surprising that a German artist would be selected to paint Indian portraits, given the popularity of Karl May's novels in Germany. 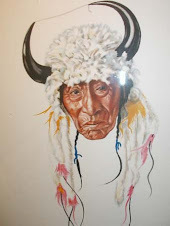 I just bought this framed picture (VERY OLD FRAMING JOB) in a thrift store in the Eastern Sierra Nevada. I was scouring the internet trying to find out what tribe the individual was from and who the artist was. (The local tribes are Paiute/Shoshone, and don't look like this.) 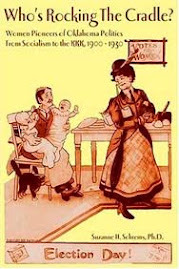 Thrilled to find your blog. Thanks!